The National Stock Exchange (NSE), in a move to upgrade its existing clearing and settlement systems, has struck a partnership with US technology bourse Nasdaq, whereby the latter will provide a customised real-time clearing, risk management and settlement technology to the local exchange. “Clearing and settlement is currently provided by NSE’s wholly-owned subsidiary National Stock Exchange Clearing Corporation (NSCCL) through an indigenous technology. But this required an upgrade. 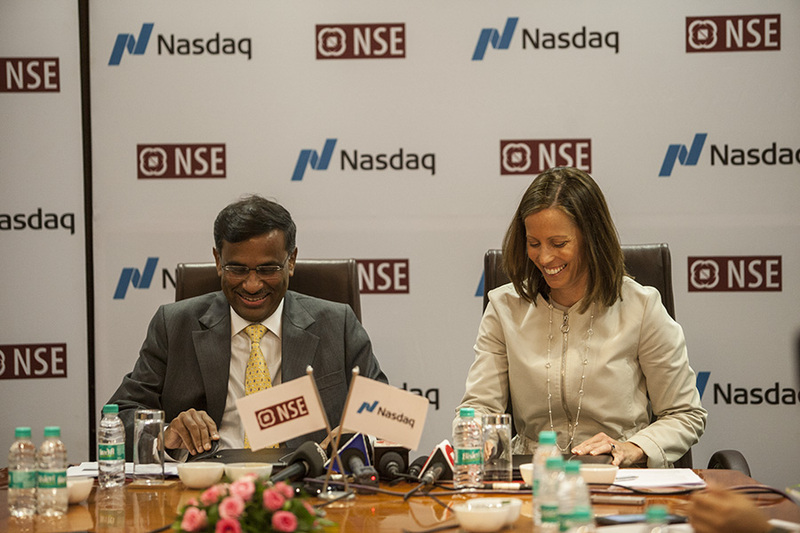 Nasdaq’s new system will replace the old one,” Vikram Limaye, NSE’s managing director and CEO told media on Monday at a press conference along with Nasdaq’s president and CEO Adena Friedman. The new technology system would be completely in place over the next 24 to 36 months, Limaye said. The two exchanges signed an agreement to explore business opportunities across listings, corporate and market services and data and innovations in products, processes and technology. Limaye clarified that Nasdaq’s technology had been customised to meet India’s unique requirements relating to regulatory, risk management and margining systems. Both officials said that there was no discussion relating to the possibility of Nasdaq picking up a stake in the exchange in the future. Regarding the issue of exclusivity of the technology, Friedman said that Nasdaq’s market infrastructure – which includes trading, risk, index clearing and surveillance systems – are operated in more than 100 marketplaces, regulators, clearing houses and securities depositories across the Americas, Europe, Asia, Africa and the Middle East. But the technology it has customised for the NSE, will be exclusive and not be available to other exchanges, she added.